Navigational charts are critical to boating safety, and have evolved to meet to the changing needs of boaters and the use of technology. 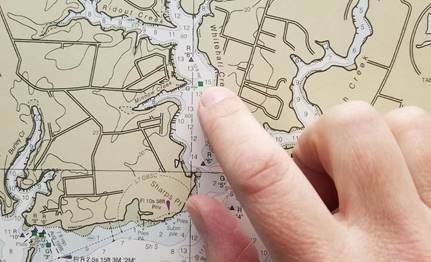 Many in the boating community have recently expressed concern after learning of a proposed plan for the “sunsetting” of paper navigational charts, which was listed among the National Oceanic and Atmospheric Administration’s (NOAA) National Charting Plan, released earlier this spring. A closer reading of the strategy however, according to the BoatUS Foundation for Boating Safety and Clean Water, reveals a forward-looking approach that sets a course to enable the Office of Coast Survey’s Marine Chart Division to continue to meet the evolving needs of boaters into the future. The member-funded nonprofit Foundation serves as the safety arm for the more than half-million member Boat Owners Association of The United States (BoatUS). BoatUS also notes in its comments that charts are likely moving to the metric system and will require boater education. The BoatUS Foundation expects to increase its educational outreach as that occurs. 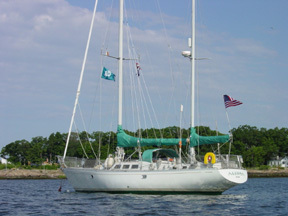 Among the proposed boater-friendly changes in the National Charting Plan, according to Shingledecker, are more frequent chart updates – weekly, instead of long intervals, and the better integration of data with other agencies such as the U.S. Army Corps of Engineers and the U.S. Coast Guard, which could mean integrating the latest channel depths and aid to navigation positions. The plan also allows NOAA to focus attention on underserved waterways, such as resolving chart discrepancies in areas of importance to recreational boaters.